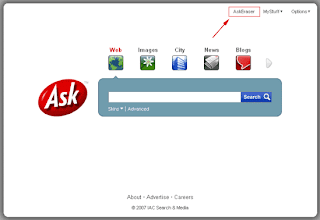 Ask.com is one of top search engines, it offers users for anonymous search with its search engine, that called AskEraser. You have choice that can turn on or off AskEraser before you search something. 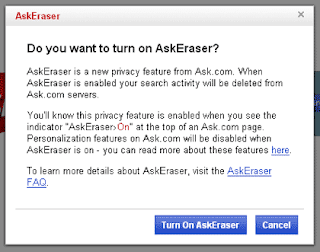 If you turn on AskEraser that will stop record your information, including IP address, User ID, Session ID, and the complete query text. To activate AskEraser, just click on the link and a pop up will ask you if you are sure you want to activate the feature. Ask.com still need your cookies if you want turn on AskEraser. So you have choice to protect your privacy while you search online now.